Acne is a problem that can impact all sorts of people, though most people assume it’s only a serious issue for teenagers. The fact is that even adults who are in their 30s, 40s, and 50s can get it. While the cause is different for everybody, nobody likes feeling like others are looking at their problem skin. The good news is that there are plenty of face washes designed to help individuals with acne get better. Many are even sold for certain types of acne, allowing you to pick the right one for your specific needs. Knowing where to start can feel pretty tough though. Use this guide to find the best face wash for acne that matches your needs. Finding a face wash that works for your acne really means that you need to evaluate your skin type. To do this, you may need to learn the types and the different type of acne that you can have. Acne with cysts under your skin. Acne related to hormonal acne. This can impact teenagers and adults, particularly, women during their menstrual cycle. Pregnancy. Pregnant women often have hormonal acne. Blackheads and acne related to bacterial infection or problematic bacterial production. Acne scars are also a major issue for many people. If you have acne scars, there are also face washes that can improve your appearance and make you feel better about your skin. Natural face washes can be a big benefit to many people, particularly those with minor acne or just a few blemishes. The best natural acne washes utilize ingredients that naturally fight bacteria and reduce redness like tea tree oil. Tea tree oil products can cause irritation to the skin, though it isn’t particularly common. 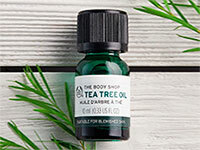 Always test tea tree oil products on a small patch of skin to see the impact before using a lot of the product. Discontinue use if you see extreme redness, irritation or itching that doesn’t stop after a minute or two. Many over-the-counter products for acne include this all-natural oil. Homemade remedies can also work well, particularly if you’re dealing with blackheads or bacterial acne. For most people though, pre-made products like those that contain naturally cleansing tea tree oil are ideal. Acne and sensitive skin can make you crazy, but there are some options that will work for you. 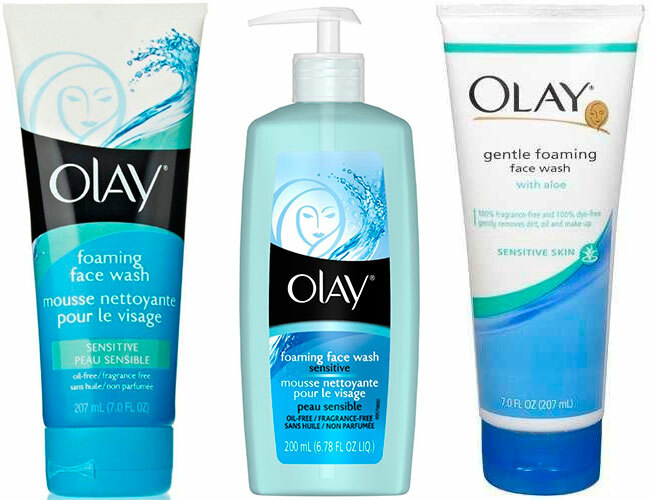 Perhaps the best product on the market for acne and sensitive skin is Clearasil Olay Foaming Face Wash Sensitive Skin. Designed not to irritate while providing gentle cleansing, this product is cost-effective and beneficial for teens, adults, and everybody in-between. This product also works with oily and combination skin if you’ve got sensitive acne. There are a ton of different products out there for acne. For most people though, wading through the different options can be confusing. The best way to choose an acne face wash for your needs is based on your skin type. Use this list to learn more about the top seven acne face washes for consumers. Most are easy to find in your drugstore, grocery store or through big online retailers like Amazon. Oily skin is difficult to handle, but there are products that work. Neutrogena Acne Proofing Gel Cleanser is an excellent option. Made with salicylic acid, it can help dry up the skin and reduce shine as well. Cystic acne can hurt and make you want to hide instead of showing off your skin. While it can be hard to treat cystic acne, Paula’s Choice Skin Pore Normalizing Cleanser can make a difference. Salicylic acid can help dry up pimples under the skin, unclog pores and reduce redness over time. Hormonal acne can come and go, but when it strikes, it can take over your life. Clinique Acne Solutions Cleansing Foam may be an ideal choice for you. Many users report clearer skin within a few weeks of using this product. The best products for acne scars are designed to help reduce their visibility. Most people feel that their scars won’t fade, but there are washes that can help. 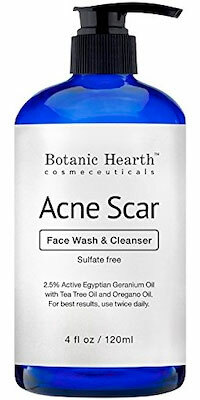 Botanic Earth Acne Scar Wash can help reduce the appearance of scars and even help with future flare-ups of acne. 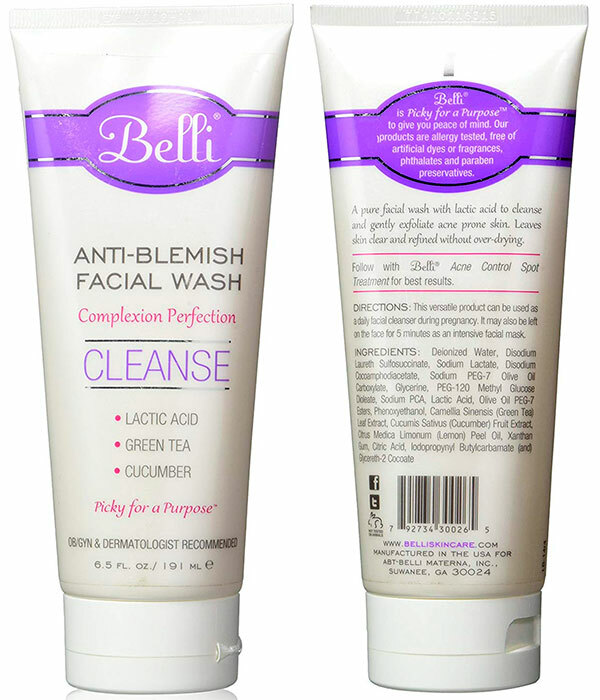 Belli Anti-Blemish Facial Wash is made from lactic acid, green tea, and cucumber, which means it’s a very natural, safe product for pregnant women. It also works to cleanse the skin and get rid of pimples and blackheads that can quickly pop up. Very easy to use, it’s ideal for pregnant women who don’t want to use a lot of products. Benzoyl peroxide products work especially well to dry up the skin, though they can be irritating. They’re also an excellent option for this type of acne. Cetaphil DermaControl Oil Control Face Wash is simple and easy to use once or twice per day and it can help clear clogged pores quickly. It’s available at many drugstores and online. Teenage acne is really common, and almost every teenager out there is going to experience it. For most though, that really doesn’t make them feel better. Teenagers can benefit from acne body wash and face wash though, and a variety of products are ideal. Most teenagers do well with salicylic acid-based products. Among the top choices, you’ll find Neutrogena Oil-Free Acne Wash.
Keep salicylic acid away from the eyes to avoid burns. The oil-free product won’t increase oil production common among teenagers. Salicylic acid provides a drying effect, which helps many teens with hormonal acne. It’s easy to use. Easy to use products are much more likely to actually be used by teenagers! Acne is no fun at all, but it’s not something that you just have to live with long-term. With the right treatment, you can take care of your own acne and make yourself feel and look better in a few weeks. While it may take time to get a total improvement, it is an option for many people, including teens and adults. If you don’t see positive results, you may want to seek help from your dermatologist after trying a few products. They may be able to help you find a solution that’s ideal for your skin type and your particular acne. After all, you don’t want to deal with acne spots forever!